From the great, winged, fire-breathing lizards of the west to the wise, flying serpents of the east, dragons play a powerful role in our myths and imaginations. 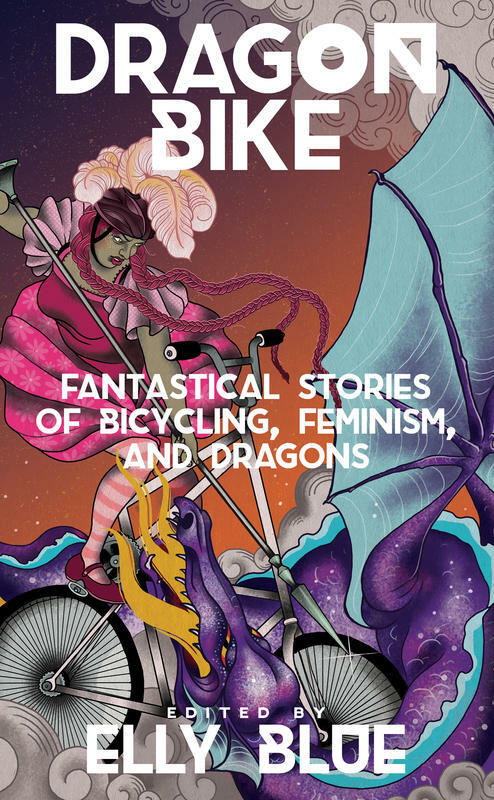 In these fourteen stories and one comic, bicyclists encounter a diversity of dragons, whether foes or friends, hoarders or helpers, powerful symbols or terrifying and very real beasts. Instead of stereotypical tales of heroes saving helpless princesses from cruel beasts, these stories are populated by empowered people facing complicated dilemmas and fantastical quests.